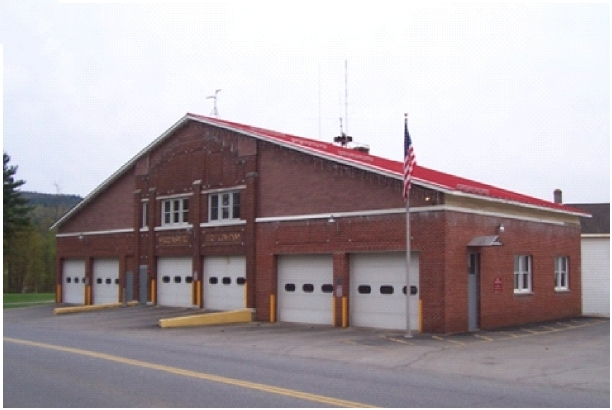 Fire Company – In 1891 a commission was established to organize a fire company, but it was not until 1921 that a volunteer company became a reality, with 15 charter members. The first chief was William Condon, who resigned in six months and was replaced by William Ticknor. Ticknor re-mained chief until 1936, when he was succeeded by Herrick "Hap" Osborne. It is noted that in 1921 they stored their "chemical truck" in a barn behind the Fairyland Theatre but it was not until 1925 that they purchased an actual fire truck, a 400-gallon American LaFrance pumper. 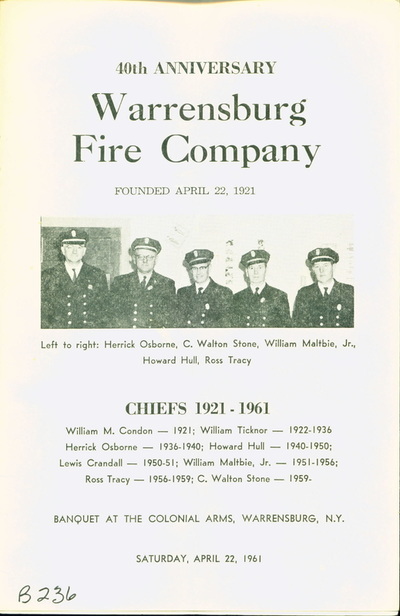 In 1929 the Warrensburg Fire Company purchased a lot on Elm Street from the Burhans as a site for a future firehouse, and in 1934, the present firehouse was built after a referendum on February 6, 1934 allowed for a $6,000 bond to pay for the structure, $5,000 of which came from the Civil Works Administration. 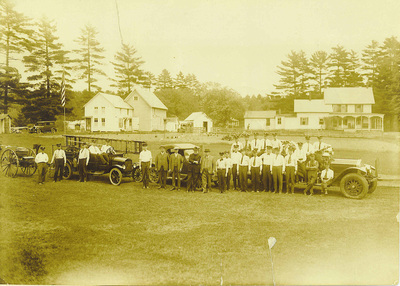 They moved to their new building on Elm Street on September 7, 1934. 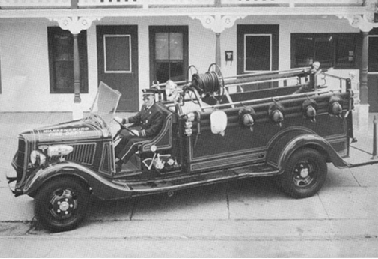 In 1936 the company purchased a new Ford Garrison pumper with a booster tank. Since the beginning the company responded to fires as far away as North Creek and Lake George. In 1949 an emergency squad was formed, as part of the fire company. Since 2002 the Warrensburg Fire Company has hosted a memorial ceremony honoring those who served during and in the aftermath of the September 11, 2001 attacks. 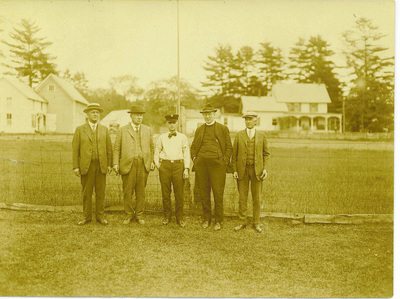 Companies from other towns participate. 1850 Wood frame worker's cottage was originally associated with the Burhan's Tannery, and was a significant resource in the district. 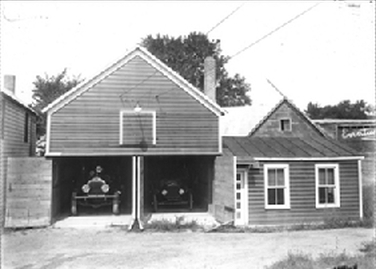 The 1-1/2 Story, side-gabled plan featured a metal roof, original brick chimneys, and recent shingled siding. Despite the changes, it retained its original function as a nineteenth century workers house.